I look forward this every year. 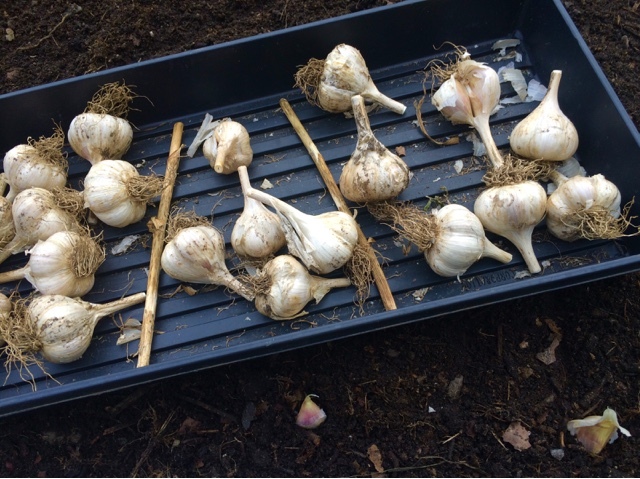 Planting bulbs (in this case, garlic cloves) is such a rewarding thing. It gives you something to look forward to when winter is at its bleakest. I planted music garlic this year. What did you plant? I'm growing German Extra Hardy, Pskem River and Music! Got ours in last weekend. Good harvest this year so fingers- crossed for this year too. Also got our garlic & shallots planted and was actually more or less on time with that. I've been so behind all season - I just had too much on my plate this year. I'm really looking forward to next year & a fresh start in the garden.